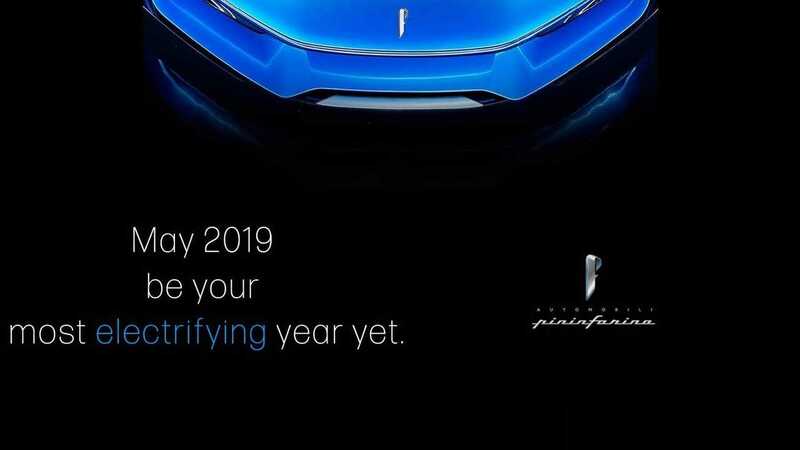 There's one more teaser for the Pininfarina Battista hypercar before the model's full unveiling at the Geneva Motor Show. There will actually be three different takes on the machine on display at the Swiss automotive event, and each one will show off a different aspect of the model. In addition, Mahindra, Pininfarina's parent company, will unveil a Battista-inspired Formula E livery for the squad's successful racing team. The first car – AKA the Grigio Luserna Battista – has a satin grey body with a mix of anodised aluminium and satin Blu Iconica blue details. Inside, there's two-tone black and tan upholstery. Pininfarina says this design is a "well-defined and dynamic expression of Battista that still remains elegant." The second car is finished in Blu Iconica, a shade that Pininfarina says is the closest to its traditional shade of Pininfarina blue. The colour is complemented with small modifications to the wing-mirrors and bonnet to give it a more dramatic appearance, and it's said to represent the electrifying nature of the vehicle. The third car wears a white pearlescent exterior – specifically called Bianco Sestriere – and its primary function is to showcase the automaker's customisation service for Battista buyers. In this instance, red trim between the rocker and the door and near the wheels offers a dynamic contrast, as do red brake calipers. We suspect this is car seen in the teaser photo, because you know, it's white with red trim. As for the other vehicles, we'll have to wait a bit longer to place some images with the descriptions. All three iterations of this 1,900-horsepower electric vehicle will see the sunshine and camera flashes on March 4 ahead of the 2019 Geneva Motor Show. (Turin/Munich, 28th February 2019): Automobili Pininfarina’s ground-breaking Battista luxury electric hypercar will be revealed in three different beautiful specifications at the World Premiere of the all-electric hypercar in Geneva on 4th March at 20:30 (CET). All three examples will then be available to view by visitors to the Geneva International Motor Show 2019. Visitors to this year’s Geneva show will see Automobili Pininfarina present two examples of the ground-breaking Battista hypercar on its stand. Potential clients wishing to express interest in owning Battista are invited to meet the Automobili Pininfarina sales team to discuss their requirements with the new brand on Stand 2146, in Hall 1 of the Palexpo exhibition centre. The second Battista presents the Battista design pack, Iconica by Automobili Pininfarina. This Blu Iconica car represents the closest of the three cars to the traditional Pininfarina brand colour with an interpretation of Pininfarina blue. More electric in tone than Pininfarina’s traditional blue, reflecting the technological innovation within, multiple layers of paint make it a deep blue representing the ambition to deliver electric performance in a luxurious package. Aesthetically the car is more dramatic with bonnet and wing-mirror modifications that visually link the bonnet to the windscreen via carbon fibre blades. The front wing above the front LED light strip is visually divided into two, reflecting the car’s rear wing graphic and unifying the overall design. Finished in Bianco Sestriere, a pure pearlescent white, small colour details hark back to historic Pininfarina cars such as the legendary Ferrari Modulo concept, a classic example of how the Italian Carrozzeria produces understated, elegant and visually striking cars. One such design detail adds a red aluminium line along the flanks between the rocker and door, immediately ahead of the front wheel and running along the back from the rear wheels. This adds a ‘light touch’ of design, adding to the overall elegance of proportions. Red calipers and a dark chrome line over the window are the limits of decoration making this Battista the most purely representative of Pininfarina’s styling excellence. The three Battistas clearly present Automobili Pininfarina’s solutions for ultra-high performance and beautiful style and each car’s exterior design shows how to elegantly integrate active and passive aerodynamics and performance functionality. Inside, there is an ergonomic obsession to ensure the car is accessible for every driver’s experience and skill – the layout of controls completely focused on maximizing drivability at 30 km/h or 300 km/h. Feedback from the first Battista clients has also been incorporated in some of the three cars’ detailing with variations on a pure and classic Pininfarina design to more dramatic interpretations. Further exciting personnel announcements will be made on the night including the arrival of one of the most highly respected engineers responsible for the development of a Formula 1‑inspired hypercar from a world-class luxury car brand. His name will be revealed alongside the three Battistas, which will be presented on the night by an exciting line-up of leaders and senior management at Automobili Pininfarina, Mahindra and Pininfarina SpA. These include Anand Mahindra, Michael Perschke, Paolo Pininfarina, Nick Heidfeld, Mahindra Racing’s Formula E drivers and other special guests from the world of motorsport and sustainable motoring. To illustrate the close links and technological synergy between the Battista and the Mahindra Racing cars, a uniquely liveried Formula E car will also be presented by Mahindra Racing, who currently lead the Formula E team and drivers’ championships. Mahindra Racing’s involvement in the ground-breaking Formula E race series since race one, season one has built up a knowledge of electric powertrain technologies and systems management that will be of direct benefit to the Battista. Key engineering challenges such as power storage and delivery, cooling and software systems controls have been fine-tuned on the Mahindra Racing cars as the Formula E series has developed significantly since its first race in 2014. This fast-paced technological development helps fast-track the Battista’s testing and development cycle, especially considering that this programme will be led by Mahindra Racing’s most experienced driver, Nick Heidfeld. Legendary Italian automotive brand Pirelli has confirmed its partnership with Automobili Pininfarina in the creation of the Battista hypercars premiered in Geneva. 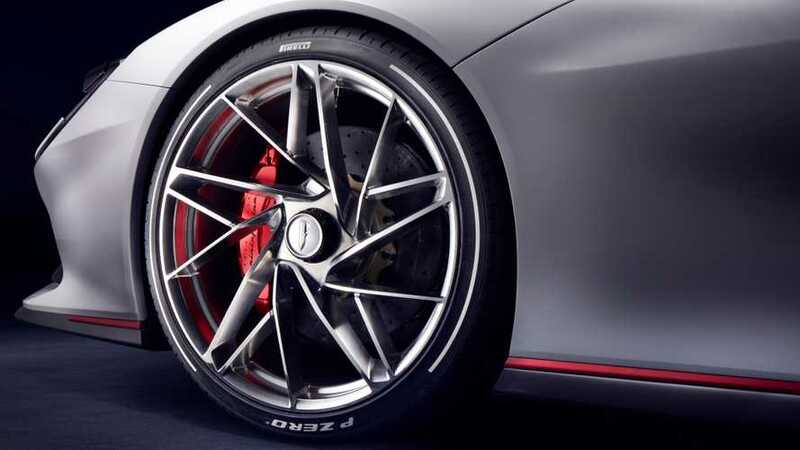 Each of the new Automobili Pininfarina pure-electric masterpieces will be presented fitted with a bespoke Pirelli P Zero tyre mounted on a 21-inch rim in an exclusive new design specific to the Battista show cars. Automobili Pininfarina and Pirelli are now engaged in discussions to develop a tyre programme for the most powerful Italian sports car ever made. The company is a 100 per cent Mahindra & Mahindra Ltd investment and has been named Automobili Pininfarina following the signing of a trademark licence agreement between Pininfarina SpA and Mahindra & Mahindra Ltd. Pininfarina SpA will take an influential role in supporting design and production capacities based on their unique almost 90-year experience of producing many of the world’s most iconic cars. Anand Mahindra, Chairman, Mahindra & Mahindra, Paolo Pininfarina, Chairman of Pininfarina SpA, and Dr. Pawan Goenka, Chairman, Mahindra Racing, launched the new car brand with Michael Perschke, CEO Automobili Pininfarina at the Rome Formula E race on April 13th, 2018. Mahindra has quickly built up experience of cutting-edge ‘race-to-road’ sustainable high-performance technological innovation having competed in every Formula E race since the world’s most innovative motor racing series began in 2013. Automobili Pininfarina will combine this ‘in-house’ expertise in partnership with some of the world’s leading automotive design and engineering suppliers to support its aggressive targets for performance and market launch in late 2020. The uncompromising ultra-luxury 1,900 horsepower hypercar is named after Pininfarina SpA’s founder, Battista ‘Pinin’ Farina. As well as penning some of the most iconic automotive designs of the 20th century Battista was a racing driver, an engineer, a family man and an energising individual; these differing facets of the company founder’s personality will be reflected in the Battista. Today, the Pininfarina family has many different personalities and passions with individual visions of the perfect Battista. The Battista has a timeless grace but at the same time features cutting-edge technology and performance unachievable in today’s internal combustion engine cars. The ground-breaking hypercar offers unrivalled performance combined with ultra-luxury. Thanks to its carbon fibre construction and electric motors with a combined output of 1,900 horsepower and 2,300 Nm of torque, it will accelerate from rest to 100 km/h in less than two seconds and on to 300 km/h in less than 12 seconds, all with a potential zero emissions range of more than 450 kilometres.